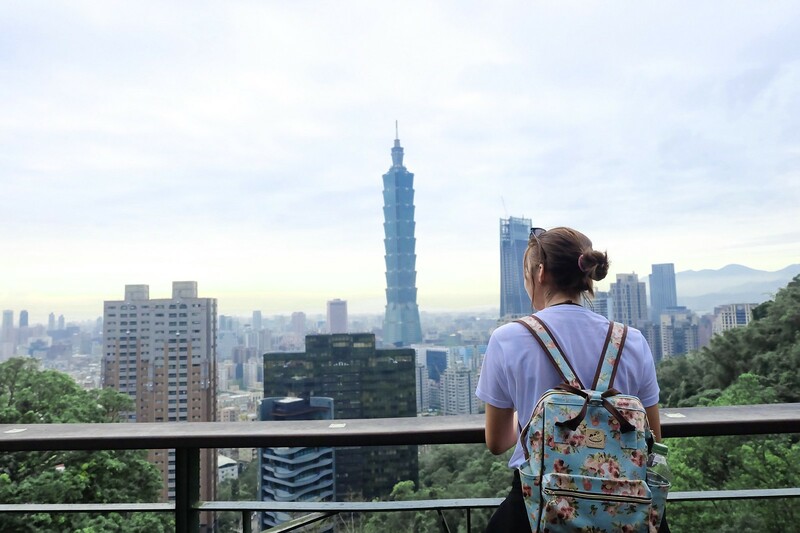 Before even I book a flight to Taipei, I told myself that I’ll hike the Elephant Mountain because the view of Taipei 101 on it is more than amazing. I’m not a mountain girl nor even engaged in any sports but I think my love for adventure is enough to survive the hike. 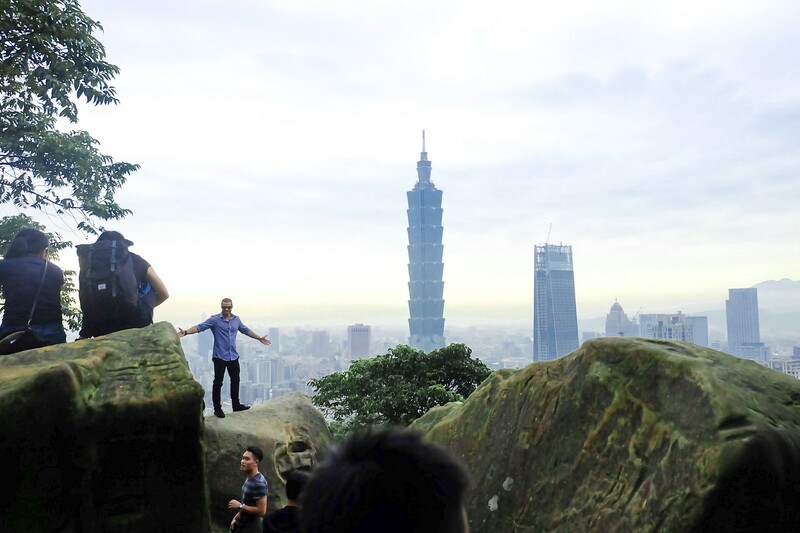 So when I scored a seat sale in Taipei, Elephant Mountain is instantly on the first day of my itinerary. Well to be honest before the Taipei trip I’ve already prepared myself that my itinerary will not be 100% executed. I’ll be traveling with my family, all 5 adults with different traveling style and interests. 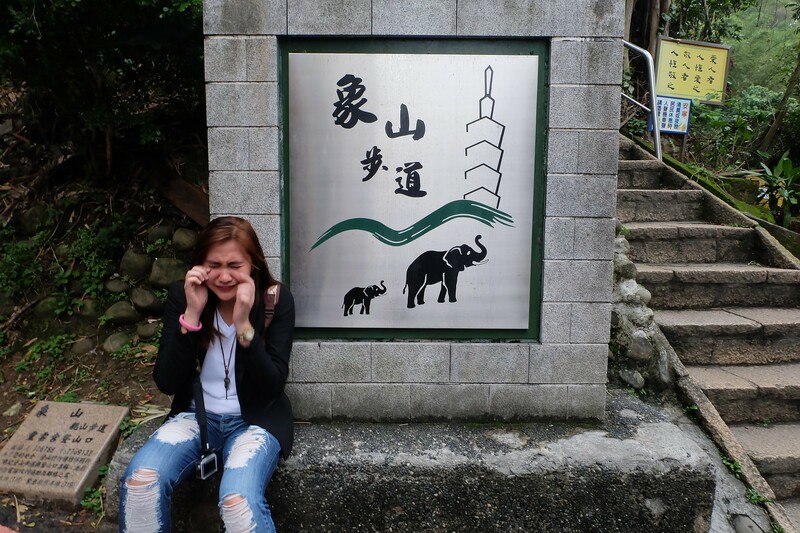 But I clung hard to Elephant Mountain. I’ll definitely go whatever happens -rain or shine. 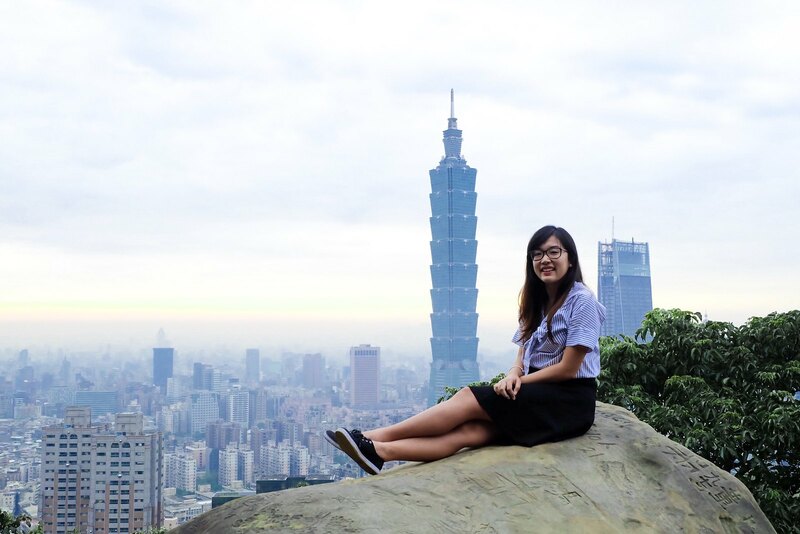 So back to our first day in Taipei, we were supposed to hike after our visit to Chiang Kai Shek Memorial. 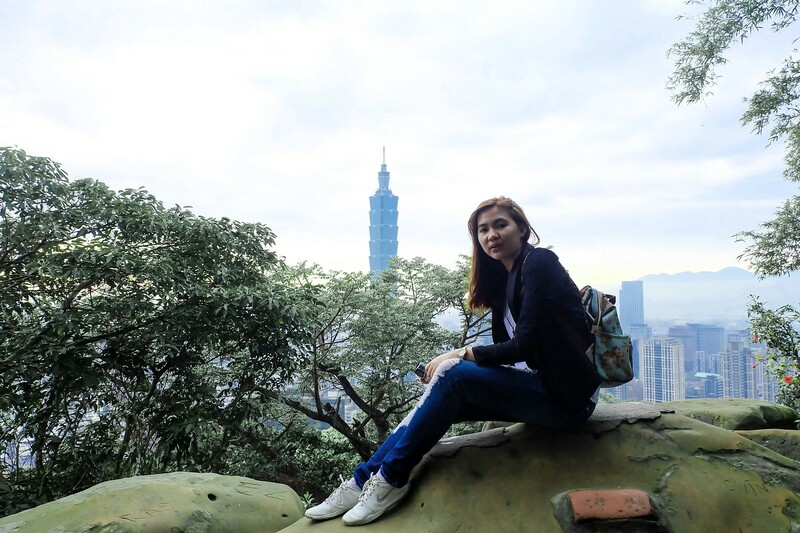 But my mom insisted on doing it the other day and go to Taipei 101 Mall instead. Despite that I know she is stalling the hike (until there will be no time for it anymore), I agreed. Filipina mothers are protective and anxious in nature. 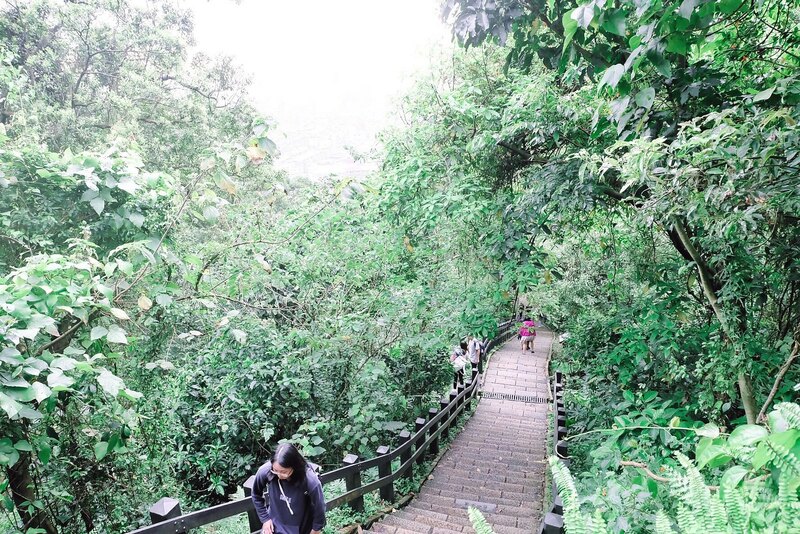 They will try to keep you away from anything that seems dangerous (like hiking, cliff diving, or even an overnight stay with your classmates haha). But I know how to deal with my mom’s protectiveness already. I got 24 years of practice. 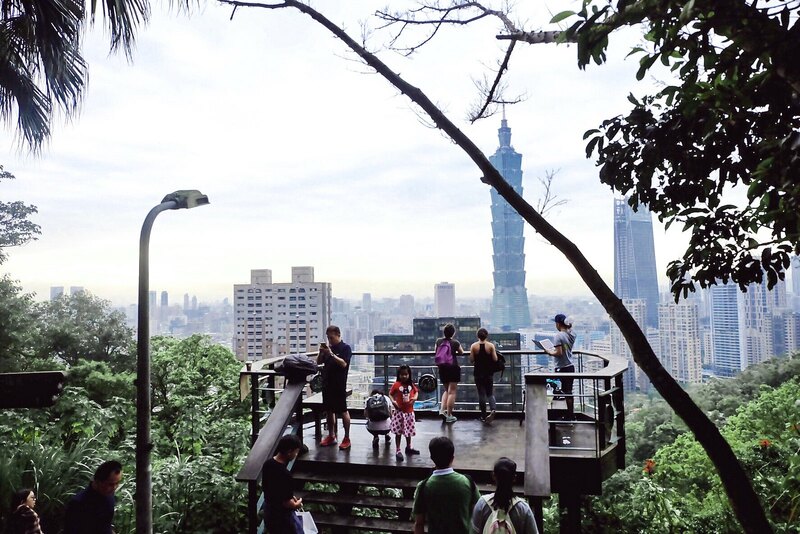 The hikers in front of Taipei 101 before they bike all the way to Elephant Mountain. 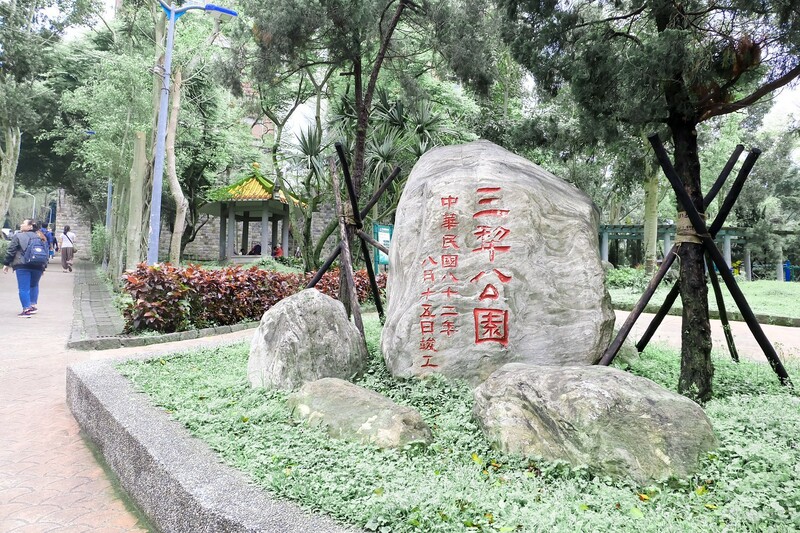 My parents canceled our Yehliu Geopark day tour since they don’t like to travel 90 minutes for rocks. I don’t mind because give and take is a group travel’s number one rule. I just need to look at the bright side though- I have a lot of free time. 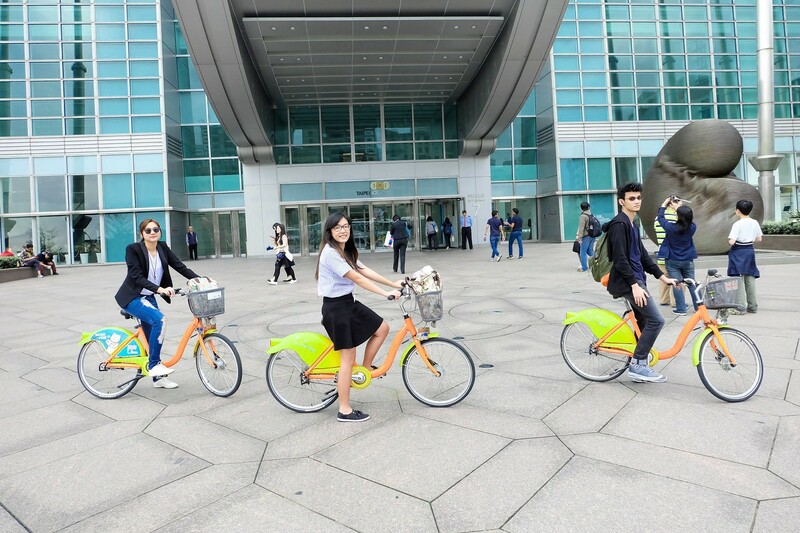 We spend the whole morning on a bike tour until we reached Sun Yat Set Memorial Hall at around 3 PM. We have nothing else to do that I suggested Elephant Mountain. Since we have been to all the tourist spots in the area, my mom has no more excuses. With her sigh of defeat, she let us [me and my siblings] go. HA! I felt nothing but excitement. The sign just beside the You bike kiosk we returned our bikes. 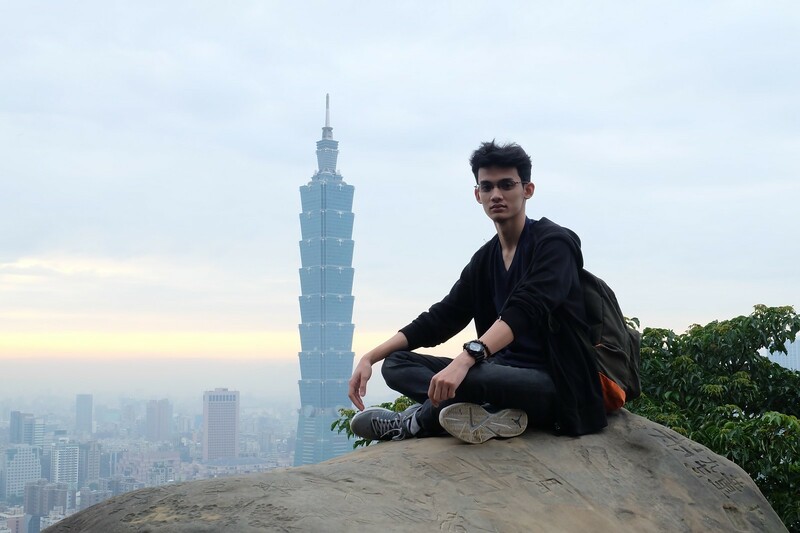 From Sun Yat Set Memorial Hall, we rented a You-Bike again and biked all the way to Xiangshan. We returned our bikes to a You-bike kiosk near the hiking trail and followed the crowd to this hillside neighboorhood. 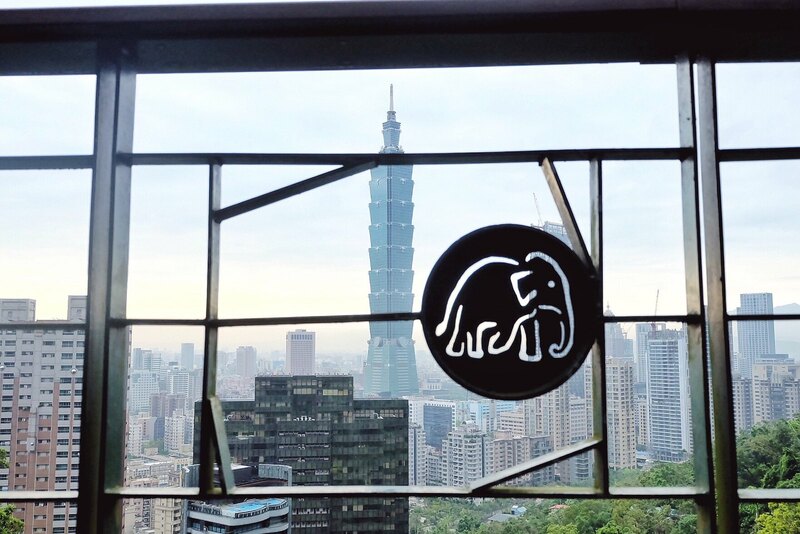 I have no idea on what the starting point looked like until we saw a big stone with elephants, Chinese letters and the Taipei 101. Beside it is an endless cemented stairs. 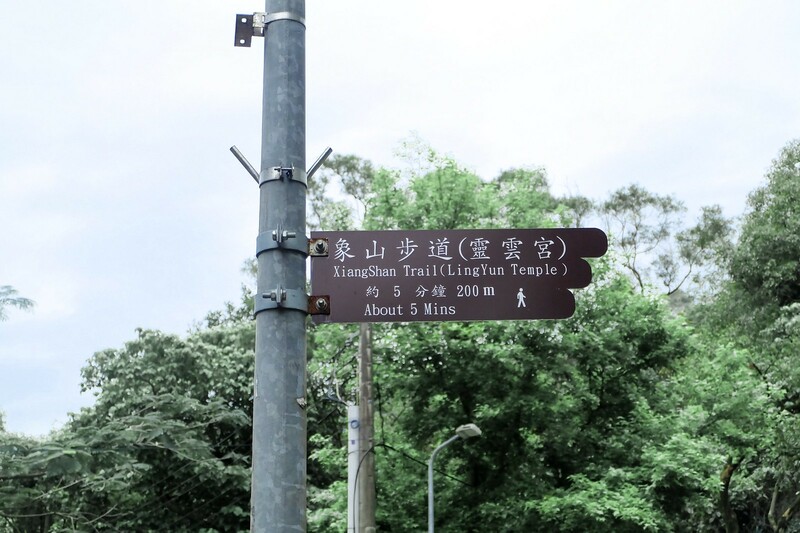 The trail is 650m away from Xiangshan Station. I didn’t mind the stairs despite that I’m wearing a skirt and blouse. A girl must hike this mountain for the view! There are two trails you can do. 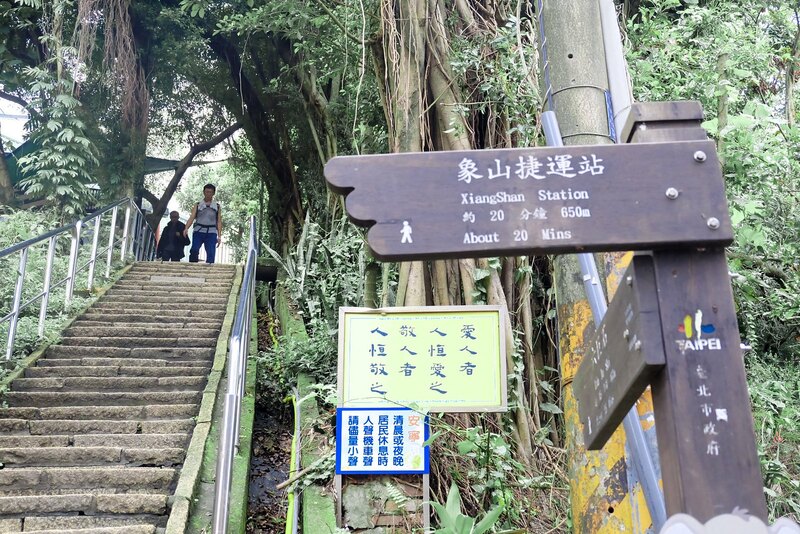 The famous one is longer and has endless stairways; while the other one is shorter and has a paved trail. An old local grandma ahead of us took the shorter trail that we almost followed but it looks deserted that we decided to take the famous longer trail. I’m responsible for our mini hiking group. We didn’t mind the stairs and distance as long as there are people we can ask for help if something happened. And besides, we love seeing people of different races. My sister and I are catching our breath that we need to stop on a rock beside the stairway to sit. The weather is cloudy and windy but we are sweating hard. Our little brother, who is maybe 300m ahead of us, decided to stop to wait for us. He doesn’t look tired at all. I seriously need to head back to the gym. We asked for 5 minutes rest but decided to head back to hiking since the mosquitoes are close to eating my whole legs. We reached the first viewing deck!! The view up there is already beautiful. 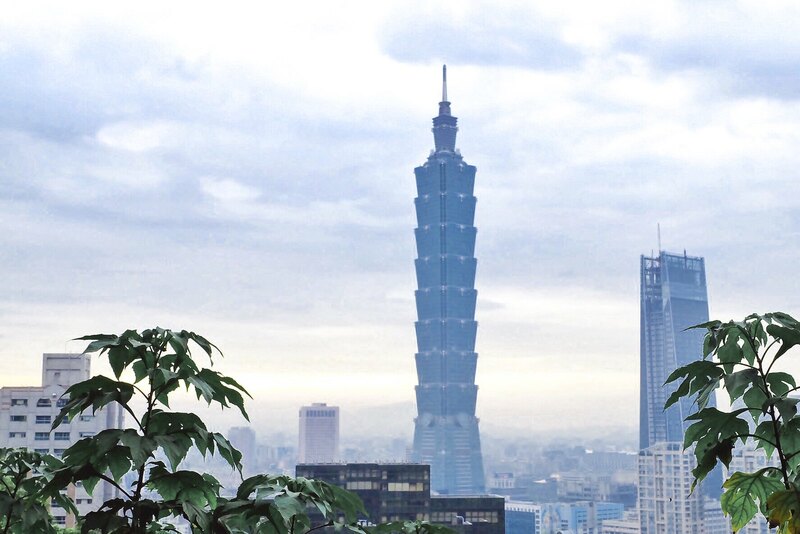 You can see Taipei 101 towering other buildings in the city. The last 2 afternoons we had in Taipei were rainy that this afternoon is really meant to be for this activity. God may not have given me a clear skies but the cloudy background looks good too. We just took some photos and started climbing a thousand stairs again. 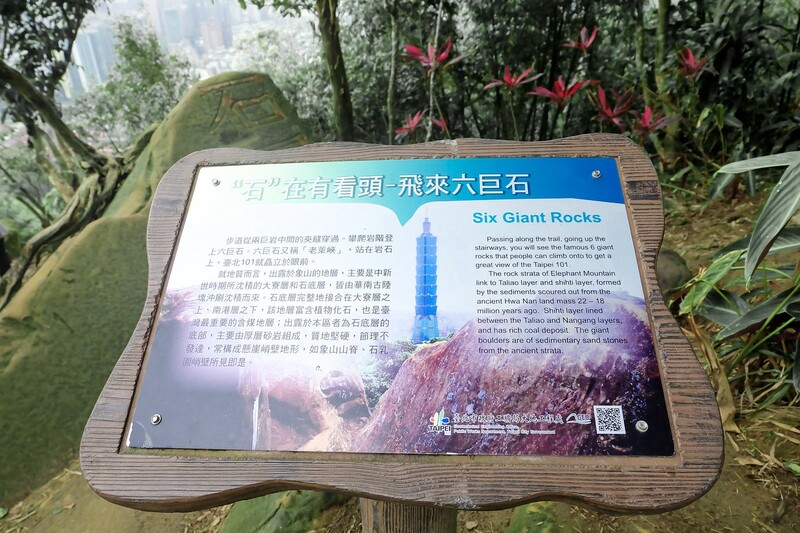 We reached the summit where the six giant rocks and second viewing deck. It is crowded (with 50% of the crowd are Filipinos) but the view is enough to forget it. 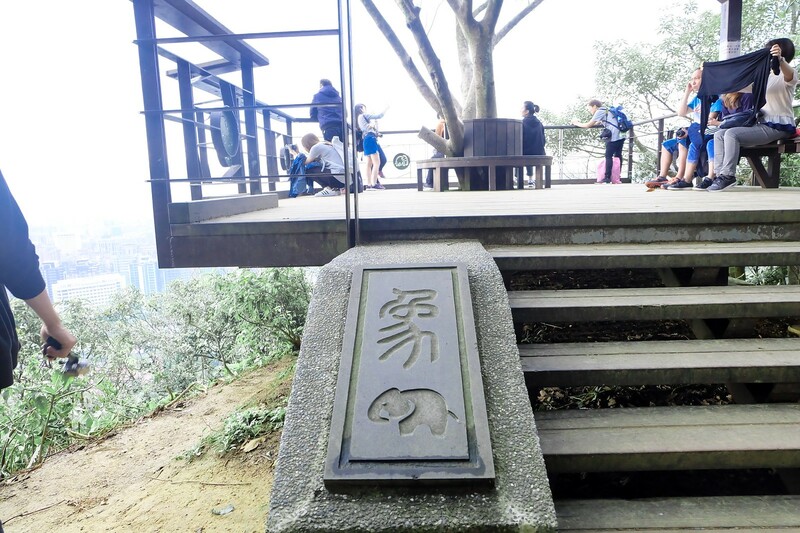 We went to the viewing deck first to rest for a while on the wooden benches. Photographers were setting up their gigantic cameras along the deck’s railing. We took some photos as well but since my hiking buddies have 0% patience in taking photos, I have to be contented. We went back to the giant rocks area and saw two Koreans who just finished taking photos in one of the six giant rocks. As we watched them go down, I asked my little brother to take note of the places they stepped on. Yes, I’m that older sister who uses his brother as a guinea pig. We were struggling first but we managed to do it three. Ano pang silbi na sa bundok kami ng Rizal nakatira diba? But we all don’t want how the photos turned out. The view from the first rock we climbed. Nope, view is not great. We decided to climb that one giant rock with the great view. Not everyone is climbing because it is somehow a struggle. Nakakawala ng poise. A Westerner couple is waiting for a Filipino group of friends to finish their turn. I asked them if they’ll climb up and they said yes, so I waited next to them. I watched my fellow Filipinos struggle with climbing the rock where one is even pushing a girl up. Then one friend needs to climb another rock beside it to take the photo. My sister asked me if we should push through after we saw the process. I said yes. Oh, the things we do for good photos. After the first Filipino group, the couple before us did everything smooth and easy. We watched their every move so we’ll know where to put our feet when climbing. So when it was already our turn, I asked my brother to be our guinea pig again. He’s sporty so he is able to do it. While the girlfriend (of the previous couple) helped me climbed the second rock to capture my brother’s photos. The view is gorgeous. We took turns in taking photos and helped each other in climbing and going down the rock. At that moment, I’m proud of my mini hiking team. This hiking experience made me realize that despite us, three, being busy with our own lives nowadays, we still make a good team. Climbing down is easy so no worries with that. 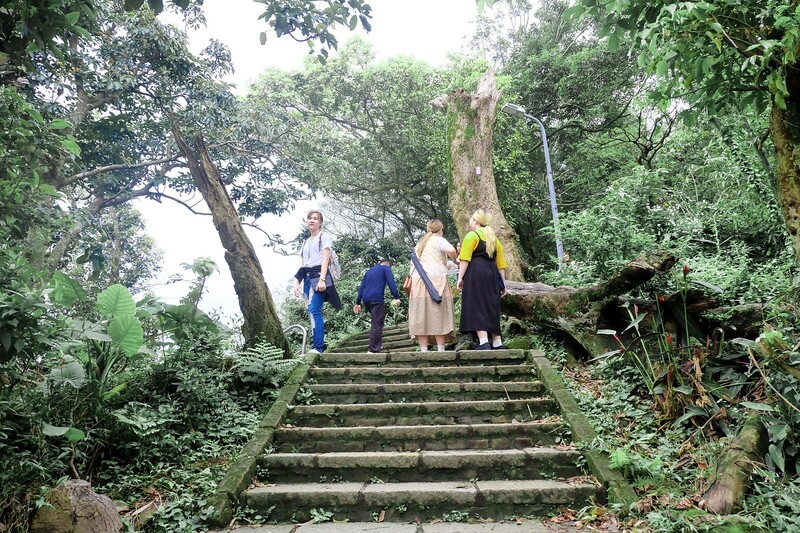 Have you been to Elephant Mountain or hiked an out of the country mountain? How was it? Let’s talk in the comment section below! Nice blog. Our team will visit China & Taiwan soon. Till then, keep posting good blogs on Taiwan. Bon Voyage. 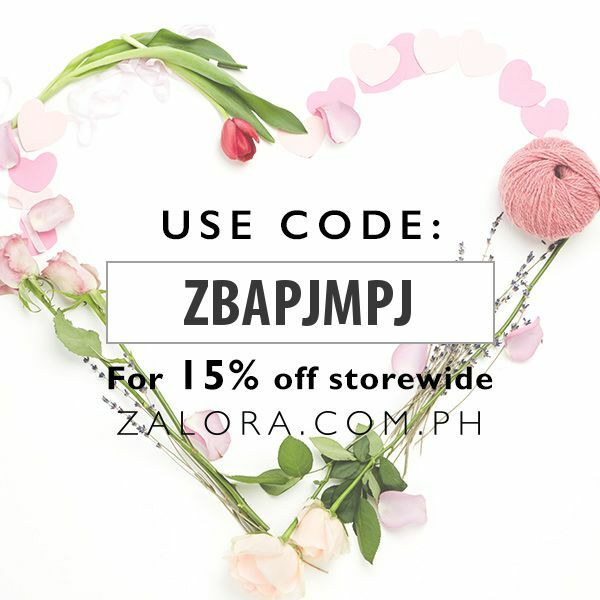 Bakit naiyak si Adeth dun sa pic sa starting point? hahahahhaa! Wow. The place is really beautiful, it reminds me of The Peak in Hong Kong.